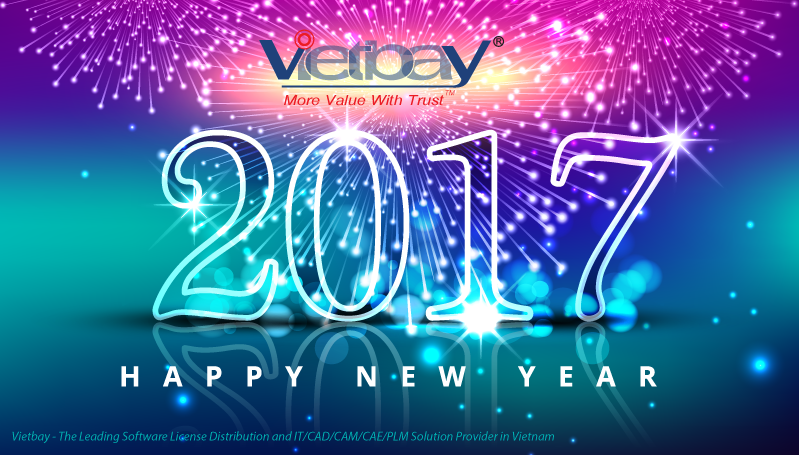 Dear Our Valued Customers and Partners, First of all, we would like to thank you for your supports so we have success year 2016. On 3rd February, at GO! Partner Conference in Bali- Indonesia of Siemens PLM, Vietbay Company was proud of awarding prize “Asia Pacific New Constructor's Champion FY14” because of the valuable effort for Siemens Product in last year – 2014. 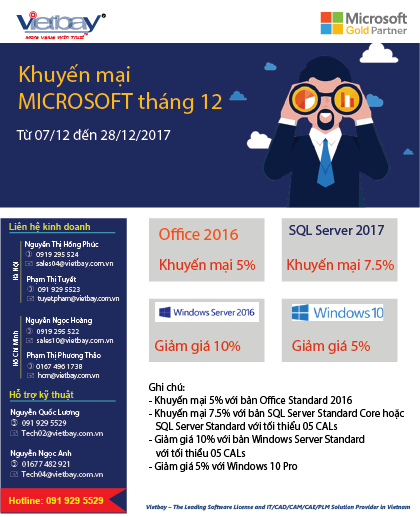 With the desire to become an active partner and bring many benefits to Siemens PLM, Vietbay Company always try to boost the reputation of Siemens PLM software designed especially brings Vietnam Companies the application of advanced technology of NX software effectively applied in the design& manufacturing process to save time, costs and increase productivity. 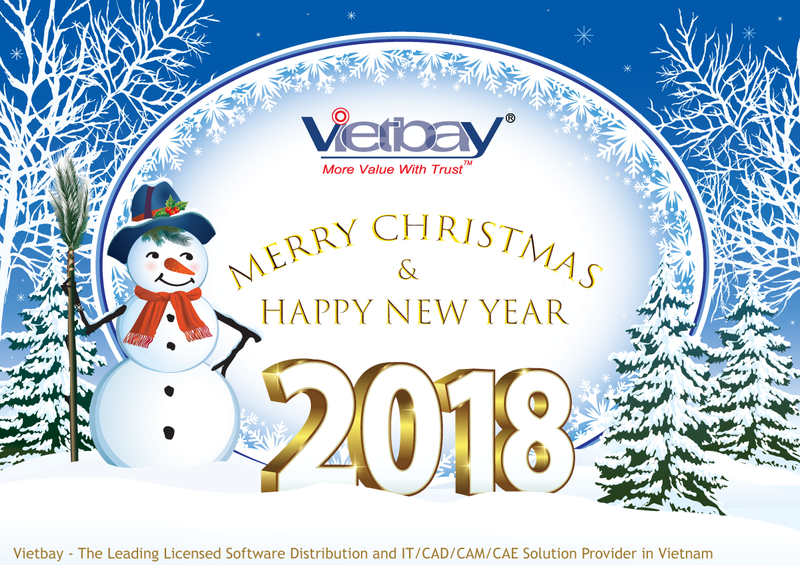 Thank you for choosing Vietbay to be your Top licensed software and IT/CAD/CAM/CAE/PLM Solution and Service provider in Vietnam. On the occasion of New Year 2018, we are happy to inform you our holiday schedule as follows. 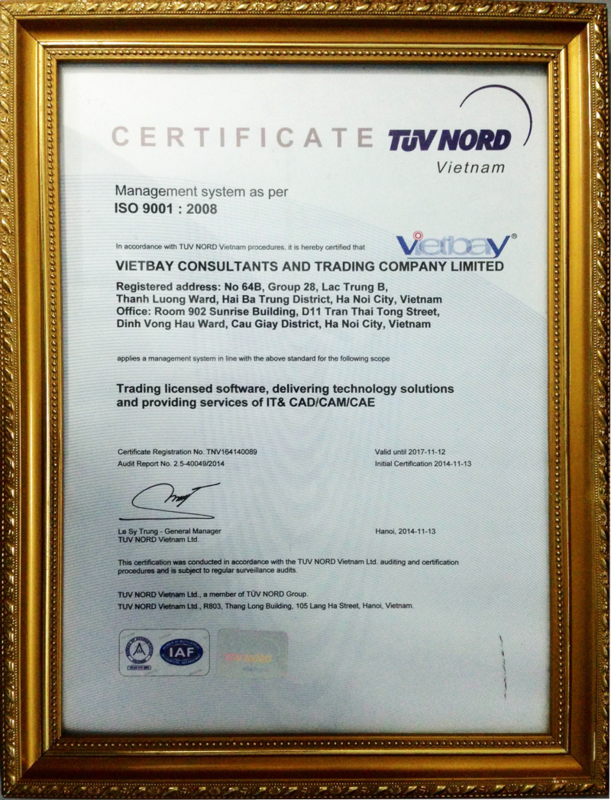 In order to improve deployment capacity and technical support to all of Vietbay's customers, Vietbay's technical staff has participated in the training program to upgrade deployment skills recently. About the teamCenter organized by Siemens PLM in Singapore. 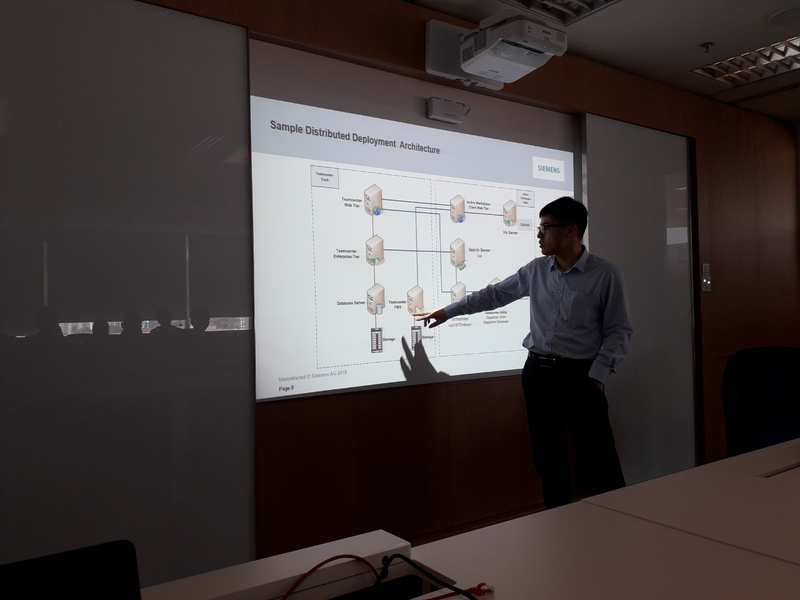 The course was conducted with Siemens PLM's experienced experts, who also carried out the practical implementation of Vietnamese finance such as deploying the entire lifecycle management solution for the research process. Car development and production at Vinfast. 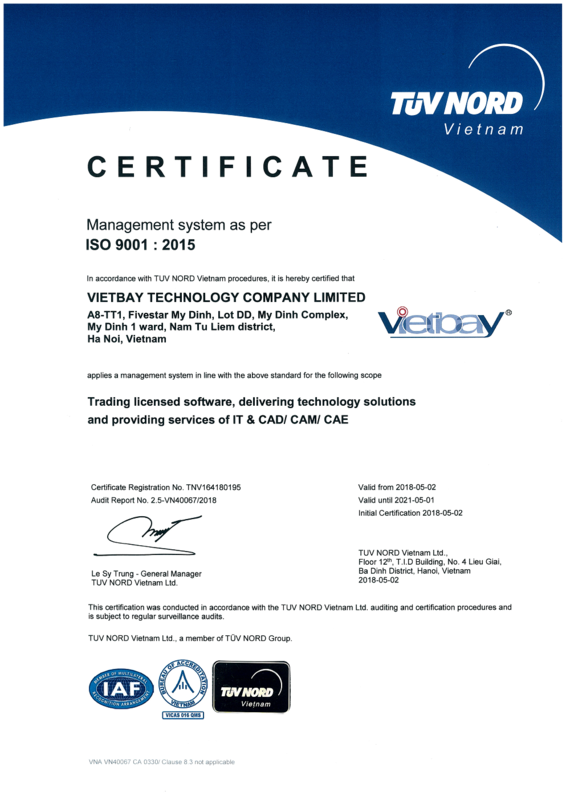 Until now, Vietbay believes that the number one supplier in Vietnam can consult, deploy and configure the Teamcenter system for Vietnamese customers, Vietbay also has experience in consulting and implementing. Teamcenter solution for Military Technical Institute has been applied effectively for management, research and development work. On November 11th, 2018 at School of Mechanical Engineering - Hanoi University of Science and Technology (HUST), Ms. Dam Thi Hong Lan - Director of Vietbay Company has shared the Future of Manufacturing with thousands of students. 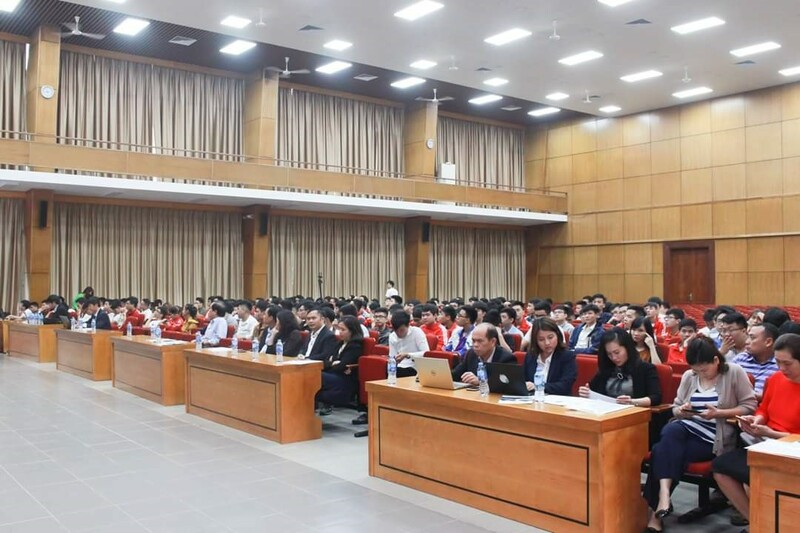 It was a great opportunity for mechanical students - Vietnam's future engineers - to understand the concepts of Digital Enterprise, Smart Manufacturing, Product Life Cycle Management (PLM), as well as the need to integrate design work (CAD), product development to simulation (CAE), design optimization and direct connection to manufacturing (CAM).... to meet the increasing requirements of society. Too many manufacturers are working from outdated definitions of quality. 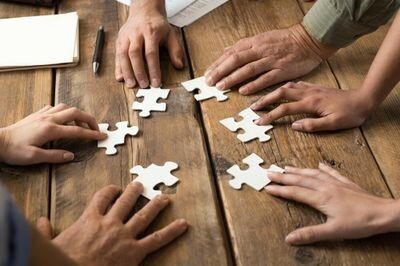 What do manufacturers need to change about how they think of and measure quality, and what role would a closed loop play in this new definition?